The Article (see link, infra) by 沈旭暉 leaves much to be desired, as 101/102's response made clear. But at the end, what has antagonized a number of commentators here, including 阿藹, tsw, and 熊一豆, is, I think, not Mr. Shen's post-modern gestures, nor his academic jargons, but the simple fact that he has so far NOT committed himself to the position championed by all these commentators, or, I should say, pretty much by the whole Inmedia community. So far, even including the present Article, Mr. Shen has written not a single word proclaiming publicly that he supports the sort of radicalism to which Inmedia is used. He kept a low profile throughout the Star Ferry Incident, neither supporting nor not supporting it, nor even commenting on it in any great detail. But this, I submit, is fully in line with Mr. Shen's self-positioning in HK's public sphere: He is always "at a distance" from many events, and, as much before the recent appointment as after it, he never refused to allow, and betimes even encouraged, in his enterprise, voices from within the Establishment. THIS is what, I believe, distinguishes him, and his approach, from Inmedia and its way of public participation. Inmedia has already transformed itself from a place for many voices into essentially an activist's platform; and it does not like those who do not style themselves as activists, or as committed fighters (committed, of course, to the Inmedia position, and not otherwise. Recall tsw's comment: "不能算是誠意吧。掏空主體內涵的人無責任，故無誠意可言。" We may only surmise how tsw would judge a person who does have "主體內涵," but only because he is committed to a position opposite to Inmedia's. Would she also deem him full of "主體內涵"?). Mr. Shen wrote: "其實港人社會意識不差，不介意多參與，但討厭政客、不習慣舊式運動、恐懼媒體，才找Roundtable 這平台容身，誰叫曝光非奸即盜。" This last phrase "誰叫曝光非奸即盜" is very worth the pondering. 阿藹 asked: "說不出席論壇了, 找了職員(亦為十二人小組之一)代為出席. 作為諮詢委員, 開會的是他, 為什麼卻要找人代為出席, 代為面向群眾? 我理論膚淺, 看不明白." Suppose that Mr. Shen attended the Forum, and were forced to declare his position. Suppose that he insisted that he would bring no position of his own to his present office, and therefore declined to answer questions of position. Given the radical practice of Inmedia - we need only recall Maggie Leung's performance, reported at: http://www.inmediahk.net/public/article?item_id=179065&group_id=11, what might happen then? And what might appear on the pages of Inmedia after the event? Perhaps a report in Maggie Leung's style, no less praised by 葉蔭聰 and celebrated by many other commentators, etc. etc.) A clever Mr. Shen - and here I must admire his wisdom - would certainly not allow himself to take this sort of risk. If he would not attend even a function organized by some less radical entities, he must have every reason not to associate himself too intimately with Inmedia. And indeed, so far as we can see, he has very much succeeded. Mr. Shen will certainly, and again wisely, not respond to all the comments collected under his Article. But we may take the comments by 阿藹, tsw and 熊一豆 as quite representative of the sort of response one might expect from Inmedia, to someone who is very well aware of the risk "曝光非奸即盜." Mr. Shen, we may presume, is going to contribute in his way; but that way is not a way that Inmedia would appreciate. For it goes against almost to boot what Inmedia takes itself to represent. Mr. Shen did not join the protest; nor did he take the risk of being prosecuted. He did not support the protest publicly; nor did he say anything that is clearly in line with Inmedia's position. He did not fight, nor did he condemn. He did not disparage those who supported the government, let alone those who simply tried to work within the Establishment. He did not write like Mr. Leung did (cf. 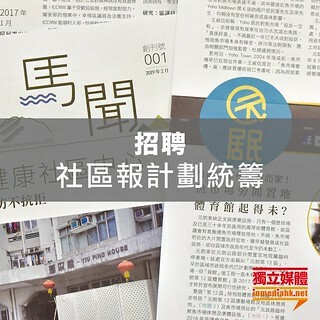 his writing with, e.g., the latter's "吸納不了的激進": http://www.inmediahk.net/public/article?item_id=179553&group_id=104. Mr. Shen, I believe, would say that what Mr. Leung did say in that article is an obvious truth; but whereas Mr. Shen would accept that it is simply a fact that the government could never "吸納" every bit of radicalim, old or new, Mr. Leung would not be happy even if that be true, but the government try to "吸納" a bit more. We know, as 阿藹 was eager to have us know, that Mr. Leung was indeed unhappy with Mr. Shen's appointment.) And all these things Mr. Shen did or not did - taken as a whole - make him very disgusting to the Inmedia commentators. He, despite his apparent interest in, and support of, civic engagement, is, alas, "l'autre" through and through. For he is not "engagé." If we look at the matter this way, the many reactions to Mr. Shen's Article registered then not only a widespread anger on the part of the commentators, but also a self-image of this community (roughly speaking). Contrast Mr. Shen, on the one hand, and 阿藹, tsw and 熊一豆 - and for that matter even Mr. Leung - on the other hand, we see that post-modernism is the last thing that we need to invoke to understand the gulf between the two groupings. For the Inmedia people, Mr. Shen has not paid the proper initiation fee (sweat, tears, and perhaps even blood), for being admitted as a bedfellow. 安徒 and 小西 would, I think, argue that under the notion of agonistic democracy, Mr. Shen need indeed be agonistically admitted as a bedfellow: after all he is "no foe of ours." (See 小西's thread "有爭議才有民主": http://www.inmediahk.net/public/article?item_id=152968&group_id=23; and my not entirely satisfying engagement with 安徒 therein.) But Mr. Shen is just safe, all too safe. If, moreover, in that safety, he could indeed achieve something, alas, it would be even more unacceptable to Inmedia.